Welcome to our first blog! 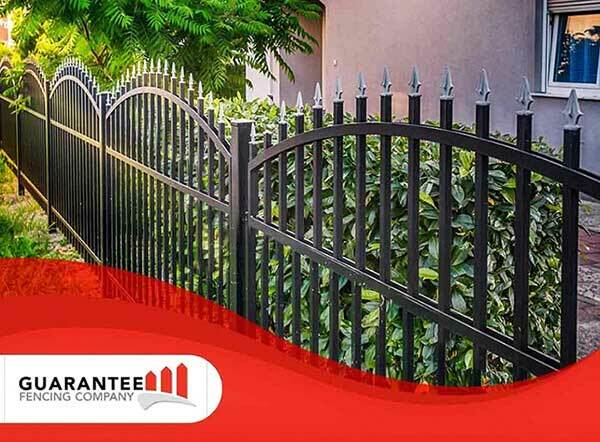 At Guarantee Fence Company, we continue the Guarantee Tradition which has been alive since 1919. We provide quality fence services, and our goal is to install a high-quality fence crafted to suit your home and your budget. We invite you to learn more about us and why we’re the company to turn to for your next fencing project. Guarantee Fence Company provides each customer with a fence tailored to suit their needs and budget. This customer-focused service sets us apart from the rest and allows us to meet the unique demands of our clients, whether it’s for residential or commercial remote fence installation. Our drive for quality and excellent service means we only use fencing products that are made in the USA. We specialize in commercial, residential and farm fencing. For homeowners, we offer a wide variety of durable and attractive fence options, such as wood, vinyl and ornamental iron. Commercial property owners will be pleased by our range of custom gates and openers, complete with security features and solar power options. If you need farming fence installation, we offer three-rail vinyl, electric and horse fencing, as well as gates and doors designed specifically for your set-up. Guarantee Roofing and Fence Company is bonded, licensed and insured, and all of our installers are certified by the North American Fence Contractors Association. We continue a tradition of excellence that started back in 1919 and look forward to meeting the current demands and needs of our customers for decades to come. Quality service, satisfaction and peace of mind are the things you can expect when you work with us. With a 99% customer satisfaction rating, our five-star fence company is ready to assist you with your next fencing project. Call us today at (812) 234-2605 to learn more about our services.